In medium bowl, beat eggs slightly. Add all remaining ingredients; beat until smooth. Heat crepe pan, or 7 or 8-inch skillet over medium-high heat (375°F) until hot. 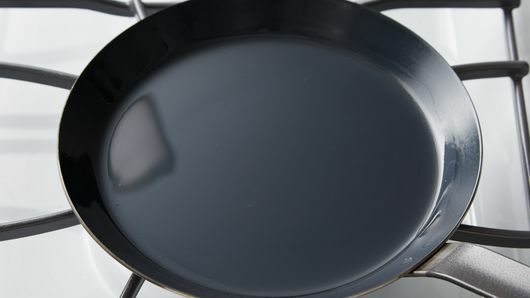 Grease pan lightly with oil. Pour scant 1/4 cup batter into hot pan, immediately tilting pan until batter covers bottom. Cook until edges start to dry and center is set. Turn and cook other side until light brown. Fill with desired filling. One of the best tools for making crêpes is the right pan. An 8-inch skillet with sloped sides, that has a nonstick finish or is a heavy-bottomed stainless-steel that heats well, allows you to quickly pour in the batter and gently swirl it around to make consistently thin crêpes that are evenly browned and lacy around the edges. 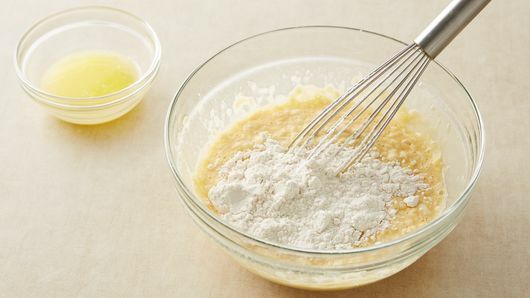 Use a wire whisk to stir up the batter—and you want it to be very smooth. Strain it through a wire mesh sieve to remove any lumps. You can mix the batter up ahead of time; store it covered in the refrigerator up to overnight if you’d like. To help keep the butter or oil well blended in the batter, heat up the butter and milk just till warm. Whisk it into the flour and eggs until smooth. Heat the pan slowly, so it reaches the perfect temperature to quickly cook each crêpe without sticking. Lightly butter the pan before adding the batter; then you shouldn’t need to add more. Practice flipping the crêpes. Wait until the surface of a crêpe is no longer shiny and the edges are starting to brown. Loosen it from the skillet with a small spatula or your fingertip, then lift the pan up off of the burner. 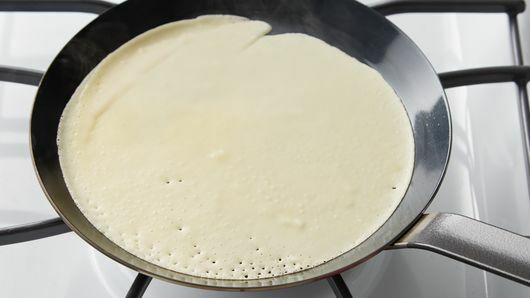 Push the skillet forward quickly so the crêpe slides out and flips on its own, landing back in the pan to finish cooking. 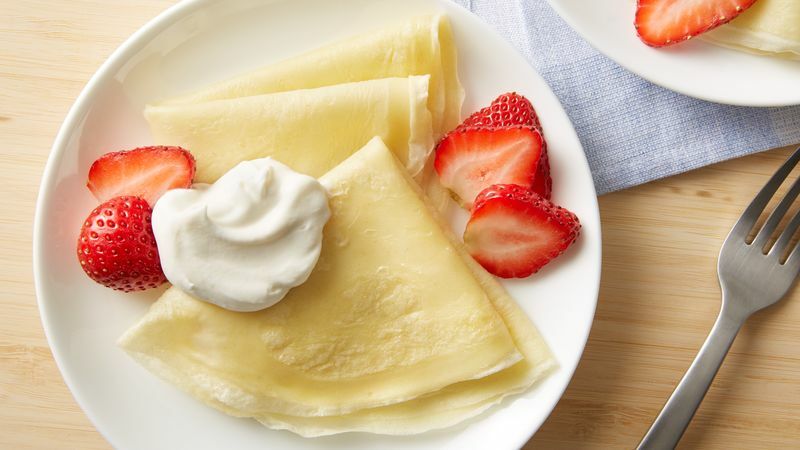 Crêpes are great made ahead and frozen between pieces of waxed paper, then wrapped in foil for up to 3 months. To thaw, place package of crepes in 300°F. oven for 10 to 15 minutes.